From smart homes to the biggest of big-screen TVs, here's a sneak peek at what's coming to this year's show. We're not quite done dusting off the glitter from our New Year's Day celebrations, but it's time to turn our attention once again to that other big event in January: the Consumer Electronics Show (CES). Yes, the annual flurry of tech and gadgets returns to Las Vegas next week, and we'll be right there in the middle of it all to check out what's new. From smart homes to the biggest of big-screen TVs, here's a brief sneak peek at what we expect from this year's show. Walking through the valley of the shadow of OLEDs. 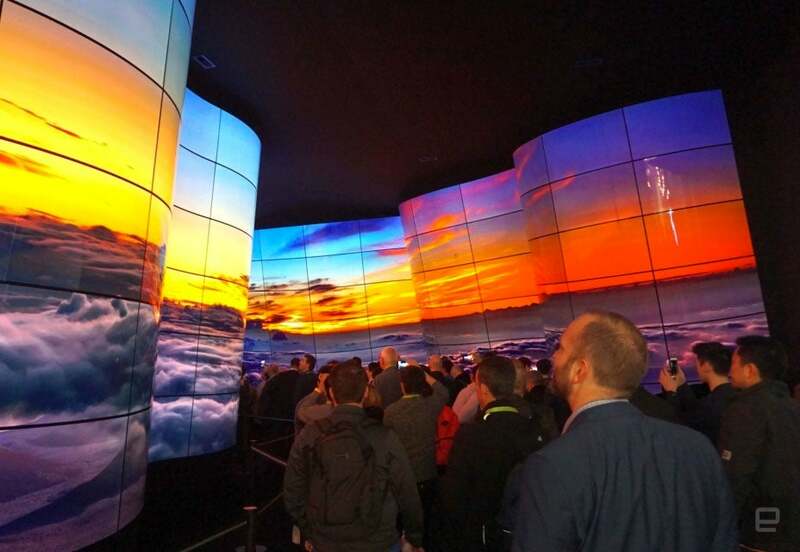 Maybe more than anything else, CES is a wonderland for people who obsess over screens. (It doesn't hurt that intense industry rivalries lead to ever-flashier spectacles.) From big to small, we're going to get a sense of what the displays of the future will look like. For the most part, though, expect to see screen technologies pioneered in the past to make their way into more mainstream products. Consider 8K: Does anyone need an 8K television? Almost certainly not, especially when you consider the near-total lack of valuable 8K media out there. Still, that won't stop the LGs, Sonys and Samsungs of the world from showing off huge, insanely pixel-dense screens at CES, along with some more-measured 8K models people might actually be able to buy. That's right: 2019 is shaping up to be the year when you'll actually be able to walk into a store and buy an ultra-high-res TV. Of course, whether you'd truly benefit from one in 2019 is another question entirely. Samsung is also expected to release a consumer-ready MicroLED television based on the absolutely bonkers Wall display we saw last year, and we can't imagine not seeing it at CES. For those not in the loop, MicroLED screens like Samsung's pack all the same benefits (like punchy colors and pure blacks) as traditional OLED panels but have better longevity. The early model we got up close with last year wasn't exactly perfect (a telltale checkerboard pattern was visible on the screen when we got right next to it), but this year we'll find out if Samsung was right to dodge a more traditional design. Oh, and let's not forget that displays are getting more flexible too. Samsung wowed with its foldable-phone concept earlier this year, but a Chinese company called Royole plans to show off its own at CES. If you're the type to buy into rumors, LG might even have a folding-phone announcement in store for the show, though we wouldn't be surprised if the company saved it for another time. Regardless of what actually appears in Vegas, though, it's clear this once-crazy idea isn't so outlandish anymore. In fact, we wouldn't be surprised if CES 2020 was full of bendy phones and laptops. Amazon has a pretty big presence at this year's CES, with multiple booths spread out across several convention halls. Seeing as Google made a big splash last year with its enormous exhibition space as well as creating its own line of Echo Show rivals, it's no surprise that Amazon definitely wants to up its game. 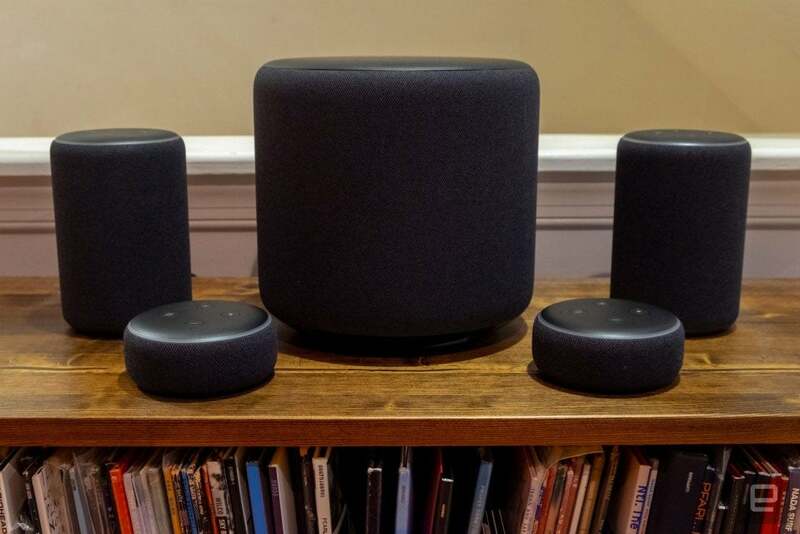 We expect to see Alexa integration not only in the usual connected displays and speakers but also in televisions, appliances and more. Amazon will even have its very own car-related exhibit to show off Alexa Auto, an accessory that'll add the personal assistant to any compatible car. Expect Alexa to infiltrate every aspect of your lives. Of course, Amazon isn't the only company gunning to make its AI ubiquitous. Google made a splash with its massive outdoor booth last year -- it had a slide, for heaven's sake -- and exhibitor maps confirm the search giant is planning something just as big for CES 2019. If we had to guess, we'd say Google will be pushing Assistant hard once more. There's probably going to be a significant number of Assistant-powered devices on hand (last year we saw stuff from JBL and Lenovo), and we wouldn't be surprised if the Assistant itself picks up a few new tricks come January. We don't know exactly what Google plans to announce, but let's be real: The company wouldn't have made its booth even bigger this year if there weren't something new to look forward to. Connected fridges and ovens have always been a big part of CES, and we don't expect that to change this year. Some of that connectivity will probably bleed over into other aspects of the home, too, like the bathroom (smart toilets, anyone?). Plus, because not everyone is willing to cough up the big bucks for a new refrigerator, we might see smaller appliances like countertop ovens and crockpots get the connected treatment as well. We'll likely see increased integration of Google's Assistant and Amazon's Alexa in these appliances too. Be it smart doorbells or smart locks, the two assistants are sure to make their way into even more products than ever. With Amazon and Google already going head to head in the smart speaker and smart display categories, we definitely expect their rivalry to heat up at CES. 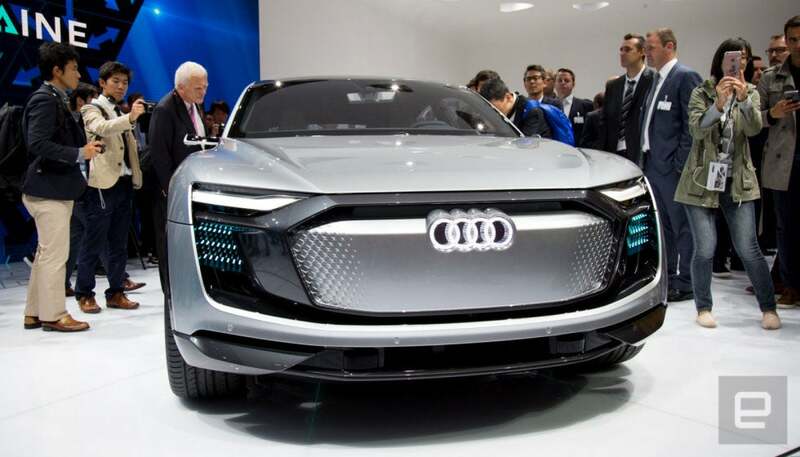 When it comes to automobiles, the focus at CES is on tech-related topics like autonomous driving and the latest EV innovations. This year, US Secretary of Transportation Elaine L. Chao is slated to be a keynote speaker at CES, and her talk will be on "the future of drones and self-driving technology." Car companies like Ford and Bosch/Daimler are expected to show off their research in the mobility space, such as new driver AI systems and the latest LIDAR sensors. Aside from self-driving cars, we'll also see autonomous tech on other kinds of vehicles like trucks and tractors. As autonomous vehicles take off, car companies have been grappling with how the future of infotainment might look like when you no longer need to keep your eyes on the road. At CES, Audi will be showing off an all-new in-car entertainment system that includes a movie theater experience, theoretically so you can catch a flick on your dashboard while sitting in traffic. Of course, we're likely years away from this being a reality, but that doesn't stop us from wanting to see it in person. CES hasn't historically been a smartphone-heavy show; most big phone makers save their stuff for Mobile World Congress a few months later. That said, 2019 is going to be the first year people will actually be able to use next-generation 5G data networks, and we expect to hear a lot about what they'll make possible. The usual suspects like Verizon and AT&T will be at the show, and their respective CEOs are slated to appear in keynote sessions that will dig into how 5G will impact entertainment, enterprises, cars, cities and more. If this sounds familiar, well, fair enough: Mobile leaders have foretold of a new industrial revolution built atop 5G connections for years now, and it has gotten pretty hard to differentiate hype from honesty. With carriers around the world preparing to light up their first 5G networks, though, this will be one of our last chances to consider the industry's lofty ambitions before reality starts to set in.